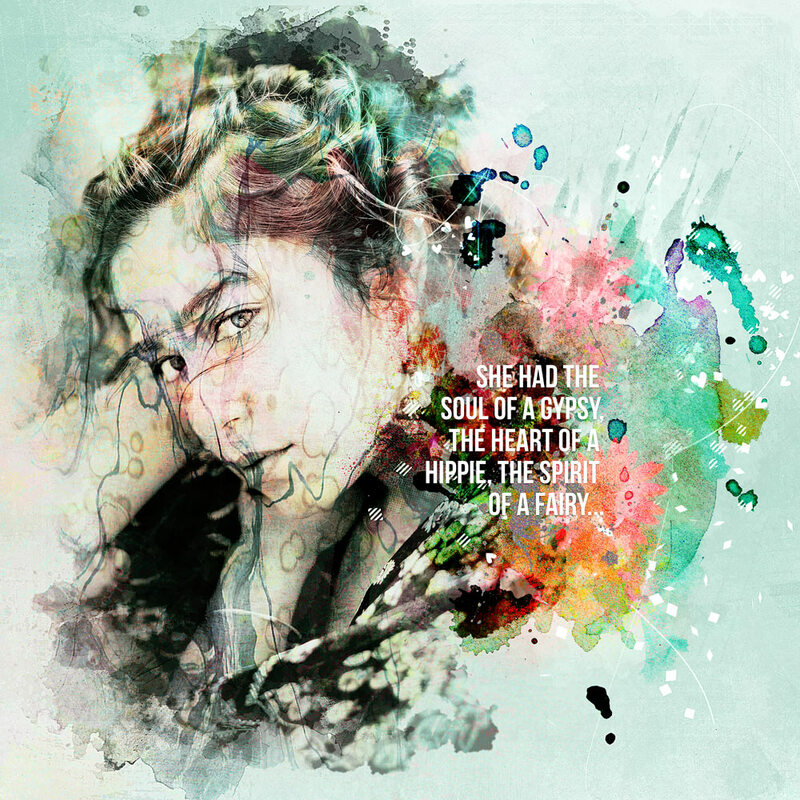 Hi everyone, Ona here to share with you two layouts that I created with NBK Design’s July MiniO, called artTHERAPY. Yet again Nicole has created a collection filled with glorious colour and magical things, there are even some stunning little fairies! As you can see below, both layouts are quite different and this is what I especially love about Nicole’s collections, the ability to create all types of layouts as her products are just so versatile! 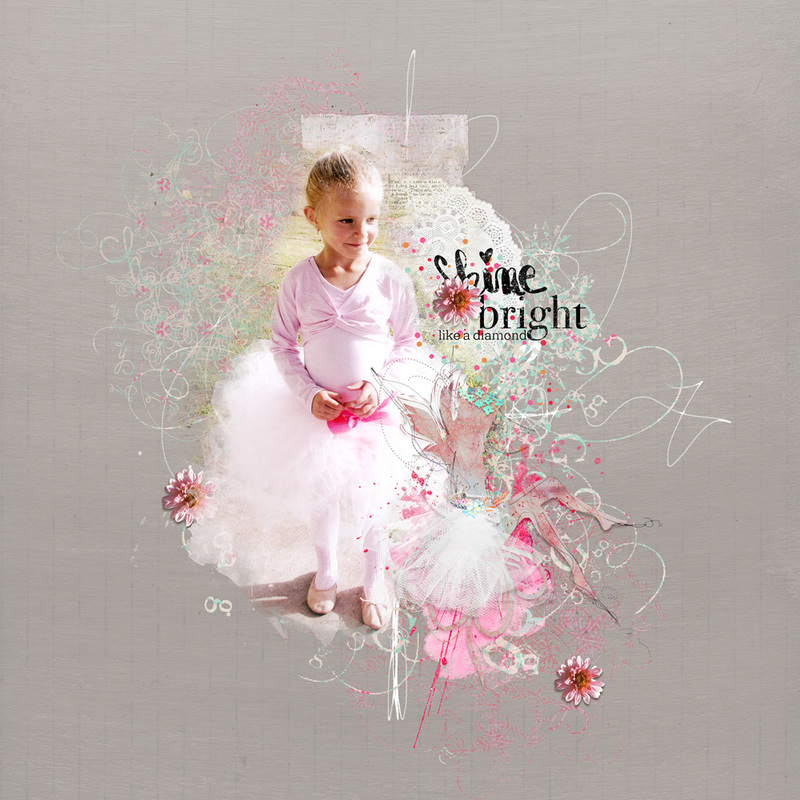 Layout 1 – My youngest granddaughter when she was dancing (I just had to use one of the little fairies!). 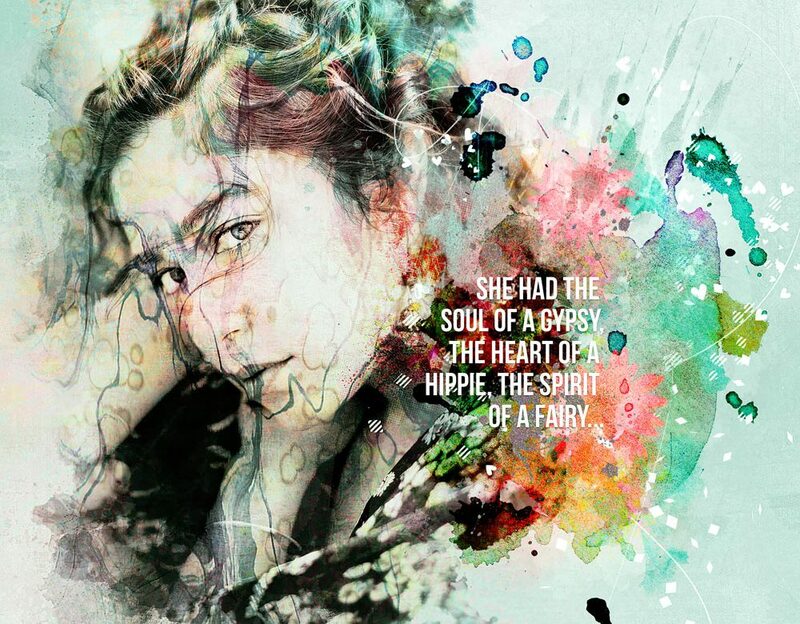 Layout 2 – This particular quote really inspired me to create something mystical. ​You can see this page and other pages made with this Collection in the NBK Design Gallery at Oscraps. Remember there are over 90 Video Tutorials that can be found on Jana’s Vimeo Video Channel using NBK Design products. Learn how to use brushes, see what is inside each Collection, watch Speed Scrap Videos and if there is anything you would like to learn how to do, just get in contact with us at Oscraps.